The A.V. Club has exclusively learned that popular NPR show Wait Wait… Don’t Tell Me! 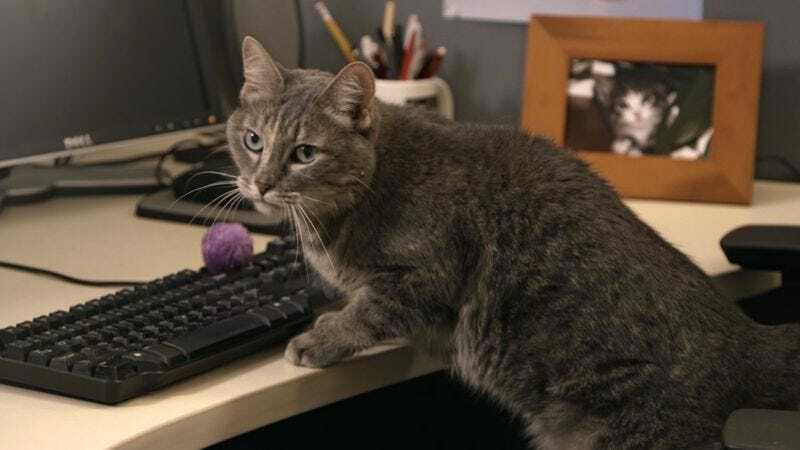 will now employ cats to write its jokes. As you can see from this video, the team has already has hired a cat named Snuffles, who, besides violating a dozen or so HR policies, also seems to be trying to influence This American Life’s editorial calendar. This video, directed by Ian Kibbe, is just one of a series of video shorts that NPR is releasing to show what really happens behind the scenes over at Navy Pier, the headquarters of local NPR affiliate WBEZ. Beginning at noon today, you can look for more of the videos on your local NPR station’s website.